Kale- Is it Still a Superfood? To eat or not to eat- Kale. This amazing superfood is full of all kinds of amazing goodness- that is if it comes straight from Mother Earth. Kale has now moved to #3 on The Dirty Dozen List. I bet you wonder why? 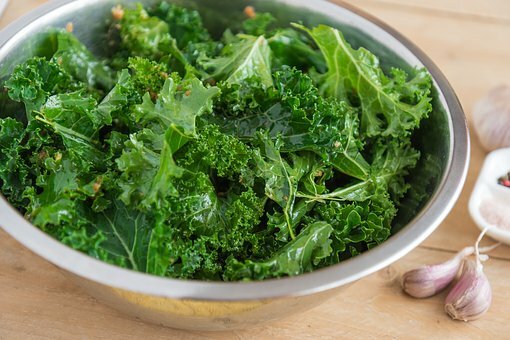 The most surprising news from the USDA tests reveals that the popular health food kale is among the most contaminated fruits and vegetables. More than 92 percent of kale samples had two or more pesticide residues detected, and a single sample could contain up to 18 different residues. The most frequently detected pesticide, found on nearly 60 percent of kale samples, was Dacthal, or DCPA – classified by the Environmental Protection Agency since 1995 as a possible human carcinogen, and prohibited for use in Europe since 2009. More than 90 percent of samples of strawberries, apples, cherries, spinach, nectarines, and kale tested positive for residues of two or more pesticides. Multiple samples of kale showed 18 different pesticides. Kale and spinach samples had, on average, 1.1 to 1.8 times as much pesticide residue by weight than any other crop. Different fruits and vegetables can have vastly different levels and numbers of pesticides detected on the crop. All research agrees on the health benefits of a diet that includes fruits and vegetables, and eating fresh produce – organic or conventional, as budget allows – is essential for health. The Shopper’s Guide is a resource designed to help you reduce your pesticide exposures as much as possible by indicating which produce to buy organic, and which conventional products are low in pesticide residue. That’s why we also analyzed the USDA data to produce the Clean Fifteen™, our list of the fruits and vegetables that have few, if any, detected pesticide residues. So- the bottom line is anything listed on The Dirty Dozen is a deal breaker. these items must be organic or they are more harmful than good.